Music must communicate - it must say something of meaning that will engage each listener in a satisfying artistic journey. Born in the United States, Mary Mageau first arrived in Australia in 1974 as a guest music lecturer. She studied composition at Chicago's DePaul University gaining a BMus with Honours, and graduated from the University of Michigan, Ann Arbor, with a MMus degree in composition. In 1970 she also participated in the Tanglewood Composers' Fellowship Program. Mageau's catalogue includes works for symphony and string orchestra, chorus, ballet, theatre, solo instruments, various chamber ensembles and voice. She has received international awards, including the Louis Moreau Gottschalk International Composer's Competition (silver medal), the 1994 Alienor Harpsichord Concerto Competition for Composers, as well as an ASCAP Standard Award, granted annually since 1981. In 1990, her Triple Concerto (for piano trio and orchestra) was highly commended by the Vienna Modern Masters First Recording Award and released in VMM's 'Music From Six Continents' CD Series. Mageau has received commissions from Musica Viva, the Queensland Philharmonic, the ABC, the Strathfield Symphony Orchestra and the Australia Council. Through Musica Viva's commissioning program, Italy's Trio di Milano and Hungary's Auer String Quartet have performed her chamber music. Soloists from the United States: Igor Kipnis, Audley Green, Janet Packer and the Adirondack Baroque Consort have also commissioned her. 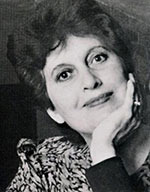 International orchestras have played and recorded her works including: the Hartford, Duluth, Des Moines and Minnesota Orchestras in the USA, and Europe's Slovak and Polish Radio Symphony Orchestras. Her music is published in Australia and the United States, and has been released on 17 CDs. Since 2006, Mageau has not accepted composer commissions, but has pursued her interest in writing and nature photography. Her poetry in the Japanese verse forms of haiku, tanka and haibun is published in the United States by Red Moon Press, the MET Press, Cli-Fi Books and Kei Books. Mageau's poems have also featured in American, Canadian and Australian anthologies and literary journals. In 2010 Blemish Books, (Canberra) published twenty of her haibun poems in Triptych Poets, Volume I. She has written a collection of lyric essays on nature themes, four historical fiction novels and several collections of short stories. Mageau writes: 'Through my music I always seek to communicate something fresh, new and expressive to the performer/s and listening public. Music must communicate - it must say something of meaning that will engage each listener in a satisfying artistic journey'. A better way : treble choir with piano : for juvenile performer(s) Commissioned by Queensland Branch, Australian National Choral Association (ANCA) Inc. ; sponsored by Queensland Office of Arts and Cultural Development. Remembering Sonora : for flute, harp and cello (2006) Commissioned by Carisma. Remembering Albany : a song cycle for contralto voice, treble & tenor recorders & piano (2005) Commissioned by Adirondack Baroque Consort, Laura Lane. Let's tango! : for string quartet (2001) Commissioned by Patrick String Quartet. Ragtime remembered : for quintet (2001) Commissioned by Southern Cross Soloists. Book: Women of note : the rise of Australian women composers / Rosalind Appleby. Book: A survey of the life and solo keyboard works of Mary Mageau / Margaret Joan Morley.